Use your feet…take to the street for Clean Air Day tomorrow! 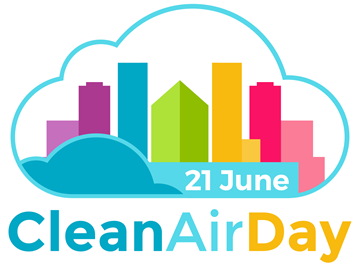 JorAir > Latest News > Uncategorised > Use your feet…take to the street for Clean Air Day tomorrow! Air quality workshops, more active travel, plus urging drivers to switch off when they’re stationery are all feeding into York’s Clean Air Day. Working with partners including University of York, York Hospital, Amey UK and community groups, City of York Council is continuing its drive to reduce pollutants in the air which can affect people’s health. In York, to coincide with national Clean Air Day on Thursday 21 June, over a dozen air quality workshops and assemblies are being held at our schools by scientists from the National Centre for Atmospheric Science based at the University of York. These include Fishergate Primary School situated in one of York’s Air Quality Management Areas. We’ve arranged for the city’s Walk to School Week to start on 18 June to encourage pupils to move more on their way to school. 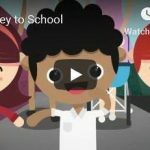 22 schools and some 6,565 children will be involved and asked to cut car use by walking, scooting or cycling to school to reduce congestion around school gates and improve air quality. If people have to drive the school run they are being asked to park and stride to give the children more exercise, fresh air and a better start to the school day. 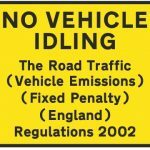 Outside York railway station, at Union Terrace and St George’s Field coach parks, local taxi ranks and school gates around the city, council officers, councillors and colleagues from Amey UK will be encouraging bus, taxi, lorry and car drivers to switch off their engine while stationery. 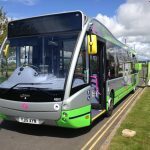 York Hospital will also work with its own staff to reduce emissions from their own fleet of vehicles. Community groups including Clean Air York have been sharing the clean air message including at the Bishy Road Street Party (17 June), when the highly successful high street closed to traffic for the day. Air pollution has been linked to asthma, lung cancer, heart attacks and strokes. So efforts to further curb air pollution include urging people to leave their car at home and take to the streets. Amazingly, car drivers can be exposed to twice as much air pollution as pedestrians and nine times more than a cyclist. As well as cutting down the amount of pollution, people who travel actively reduce their exposure to air pollution – and get some exercise too.